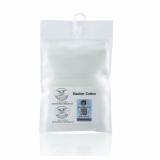 Demon Killer Slacker Cotton adopts high quality material to deliver pure flavor for you. Just take it as your spare part! 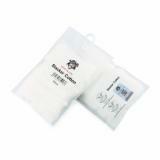 Demon Killer Slacker Cotton, which contains 60 pieces per pack, will bring pure flavor to you. Just take it as your spare part! • Quick link:Envii Yeti RDA. 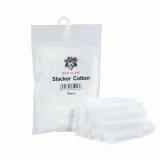 Demon Killer Slacker Cotton 60pcs/pack The Demon Killer Slacker Cotton is made from high quality organic cotton, it features good oil guide and large oil absorption capacity. The Demon Killer Slacker Cotton is perfect for DIY fansDemon Killer Slacker Cotton is made of 100% tasteless organic cotton, which is highly absorbent and high heat resistant. 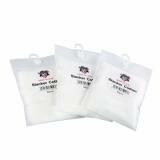 A very useful product at a fair price.I made a mistake and I bought only one package.I do recommend to the rest of you to buy more than one bag, it will make your life easier.The cotton is very quality and separated in a such a way that is really very easy to use it, without any almost waste.